It does not take long at all after falling behind on monthly bill payments for you to start receiving calls from creditors and collections agencies. It is never fun to have to speak with a creditor about the money you owe, but avoiding the situation will only result in more stress and even more complicated financial problems for you. You may be surprised at how you can lighten the burden of some of your major debt by negotiating directly with creditors. While you may not be able to get the entirety of your balance forgiven, creditors are usually willing to entertain a reasonable settlement offer so that they do not have to take a total loss on a debt. 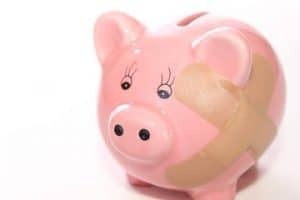 If you are going to take the plunge and speak directly with creditors about your debt, consider the following tips for achieving a reasonable settlement. 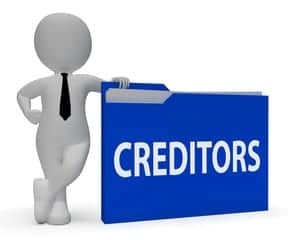 If you have a legitimate reason, such as illness or loss of employment, for not being able to make your payments, you should let your creditors know about this. It could prompt them to lower your payments or reduce your debt because they know that you are probably considering filing for bankruptcy. They would typically rather get a portion of their payment now than have to wait for months for a bankruptcy filing to get settled in court. Do not wait until a creditor has already sent a bill to a collections agency in order to start payment negotiations. At this point, you will already take a hit on your credit score and have far less leverage in working out an arrangement. It is important to take notes when dealing with a creditor so that you can remember all of the options that were presented to you. In addition, you may find that a creditor tries to threaten you with filing a lawsuit or garnishing your bank accounts. It is very likely that these threats are illegal, so you will want to have a record of what was said in case you end up taking legal action. Be ready to negotiate with exact figures in mind. Take a hard look at your monthly budget and see if there are any areas that could potentially be cut. This will allow you to know precisely how much you can afford to pay for a monthly debt without getting further behind on your other obligations. Even if you are able to get lower monthly payments arranged by your creditor, you do not want to extend your payment schedule if you do not absolutely have to. You could end up paying much more than necessary in interest for an extended payment plan. It may be worth your time to speak with a debt relief counselor in advance of negotiating with a creditor. You will get an idea of the fee they charge for their service and whether there are other ways to refinance your debt, such as a personal loan, that you may not have considered yet. Also, a bankruptcy attorney can provide a helpful overview of whether filing for bankruptcy makes sense in your situation as well how a creditor can pursue you for unpaid bills.